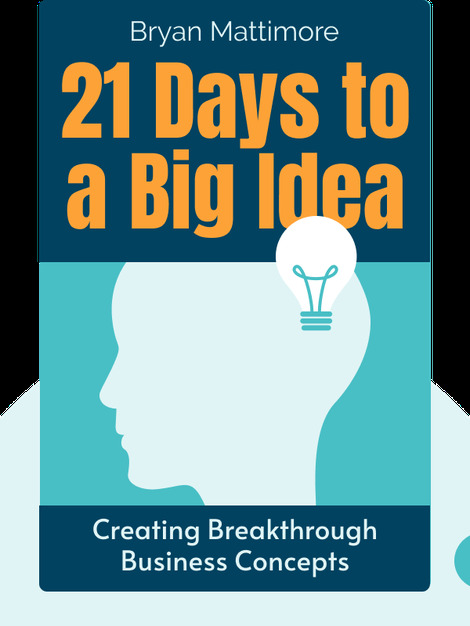 21 Days to a Big Idea (2015) is your guide to rekindling playful creativity and discovering the countless bright ideas your brain is capable of producing. These blinks share the secrets behind simple yet effective techniques to get your creative juices flowing, and provide helpful tips for turning your wild ideas into a viable business. 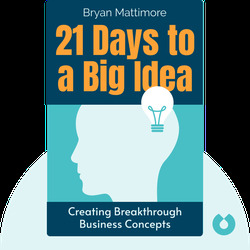 Bryan Mattimore is an innovation specialist and founder of his own company, Growth Engine, based in Connecticut. Mattimore has fostered creativity as a session leader for organizations and an advisor for major companies, including Ford, Unilever and Pepsi. He’s also the creator of Bright Ideas, a game designed to help us train our creativity.